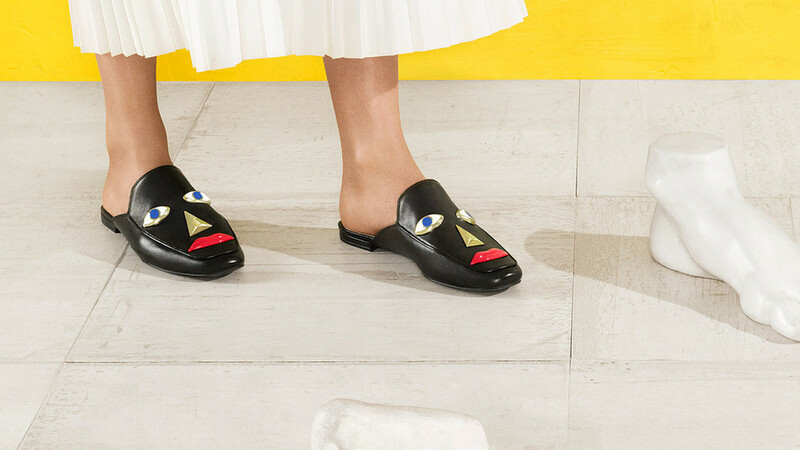 Retailers have been removing Katy Perry’s new sandals and loafers, designed to resemble a human face, after their ‘black’ version got slammed for being racially insensitive. The news has received a mixed response on Twitter. The ‘Rue Face Slip On Loafers’ that come in black and beige and their high-heel option, black and gold ‘Ora Face Block Heel Sandal,’ have been removed from Walmart’s and Dillards’ websites, TMZ reported. The shoes, touted by the US pop star since last August, have long been a source of controversy. However, they were available at stores for $129-a-pair until very recently. Spurred by a mounting backlash, the decision was made to yank the shoes from the shelves “in order to be respectful and sensitive,” TMZ reported on Sunday, citing sources close to Perry. The report has split Twitter into two camps. While some have dismissed the outrage caused by ‘offensive’ footwear as overblown and fake, others chastised Perry for being tone deaf with her design choices. As the latest offensive clothing item-fueled debate raged on, some said it completely misses the point, which is how “ugly” the shoes are. “The ONLY thing yall should be talking about is how hideous the shoe, which comes in different colors, is,” one commenter wrote. Some even suggested that the hype is just a publicity stunt to boost sales. The faux pas may leave a dent in Perry’s liberal icon image, but it’s not her first. In 2017, Perry was accused of appropriating black culture with her dance moves and cornrows, for which she later apologized. She also faced backlash and subsequently apologized for her geisha-themed performance at the 2013 American Music Awards. Perry’s latest controversy comes just less than a week after Gucci withdrew a black balaclava jumper denounced for bearing a striking resemblance to a “blackface.” The jumper covered the lower part of the face and featured a red cut-out around the mouth. While fashion houses are no strangers to blunders like that, the ‘blackface’ theme has been a staple of headlines lately thanks to Virginia Governor Ralph Northam, who refused to resign after his yearbook photo featuring a man in blackface was revealed to public.